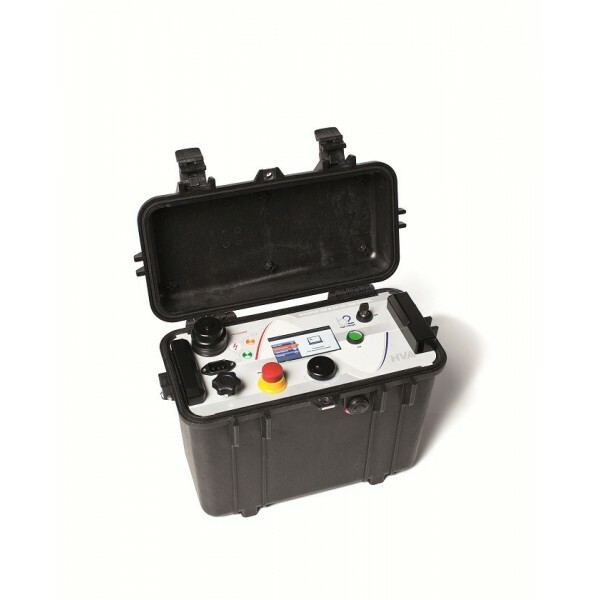 b2 electronic HVA28 is an ultra-compact and lightweight (14kg) VLF Test set which exceeds the performance of much larger units. The HVA28 is protected by a watertight, crushproof and dust proof case (IP67). The unit offers manual and automatic testing sequences, and a large colour display simplifies operation. It also features both electronic and mechanical discharging of devices under test, a 12kV feedback protection system and an unlimited duty cycle (dry system – no oil used) completing the performance of this outstanding HV System.